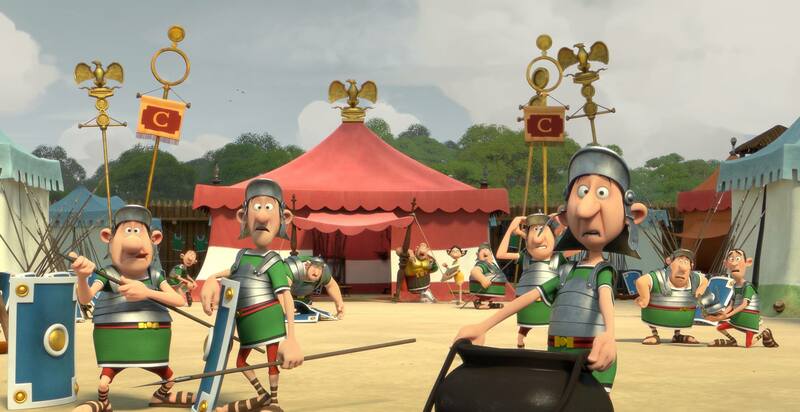 I'm very glad to announce I had the opportunity to collaborate with Grid-vfx on the last Asterix animation feature. The film is produced by Mikros Image and french TV channel M6. I was in charge of supervising the animation fix team in collaboration with Karlijn Koning. It has been a tremendous challenge to keep up with the high standards of animation work we received from the animators! This has been my most endeavouring experience till now and I learned a lot. Looking forward to have more of this. The movie comes out on the 29th of november 2014. ALL RIGHTS STRICTLY M6 studio. The IMAGE above is extracted from the «ASTERIX le domaine des dieux» FACEBOOK page where it is located.